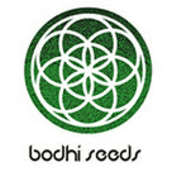 Bodhi Seeds knew this would be a special strain, and they needed a special name, something that would make people go WTF! and crack a big smile. The creator had that dreamweaver song from the 70's stuck in his head and was thinking of native American names, and Dream Beaver was born. Later when he searched around for what beaver medicine was in the totems of indigenous people he came across this info and everything fell into place.